The groundbreaking, touch-controlled 2-in-1 Personal Vision Assistant has arrived! It's Simple: Prodigi has no confusing knobs and dials, and no clumsy X/Y table. Its Touch and Tap TM controls are easy to learn and hard to forget. 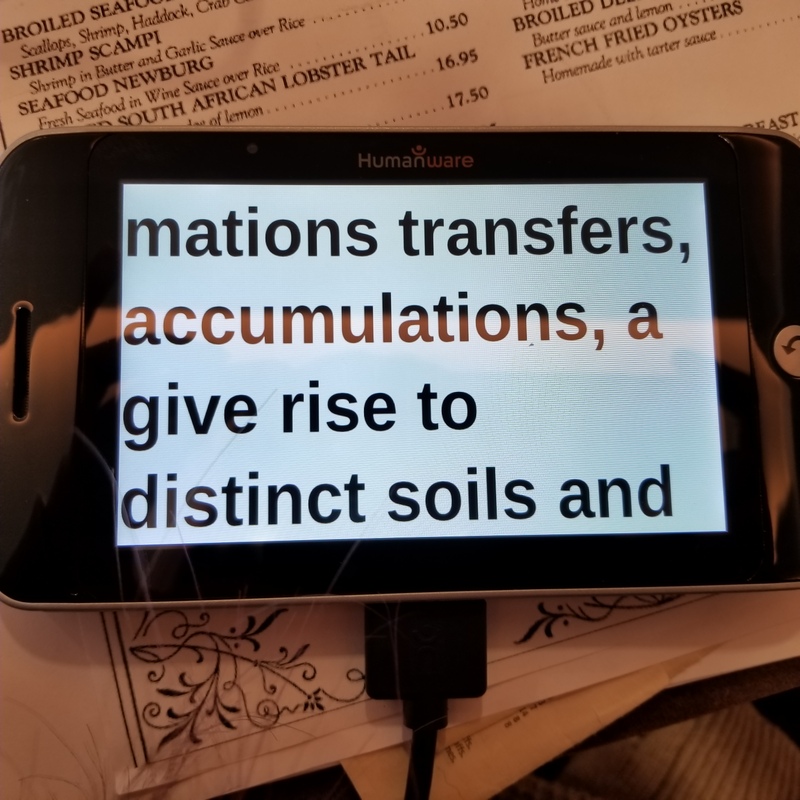 Just place your document and tap to zoom in and start reading with your preset magnification, enhanced contrast and reading mode. Prodigi uses the same touch controls for the desktop and portable tablet, so it’s simple to use, at home or away. It’s Intelligent: Prodigi's Diamond Edge Text TM can be magnified infinitely without compromising image quality. See images in full color and Diamond Edge Text in enhanced contrast! Or enjoy effortless reading with Prodigi’s many reading modes and smooth flowing text that you can magnify, speed up, slow down or even go back, all without moving your page. And Prodigi can even read aloud if you prefer to sit back and listen! It’s Portable The Prodigi Duo is the first HD all-digital magnifier that is both a desktop and a portable tablet. Simply detach the tablet and take it wherever you go... to the couch or bed, store or restaurant, ANYWHERE! Capture new materials, or take cherished photos or important documents with you. It’s Adaptable: Right out of the box, the Prodigi Duo’s built-in tutorial guides you through the optimal reading preferences for your unique vision needs. Whatever size, color, contrast, orientation, or speed, Prodigi adapts to you. Best of all, your preferences follow you wherever you go. Free stand included when you buy this model!